The house is still dealing with the aftermath of the double eviction, but there's still some of the past to share. Flashback to the moments where Paulie hit on Natalie despite being in a showmance with Zakiyah (and Natalie with James). Natalie outs all of this to Zakiyah in the days leading up to her eviction, who in turn tells everything to Paulie. 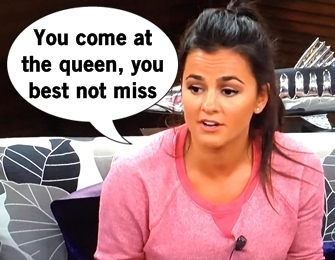 Natalie tells this to James as well, who confronts Paulie about flirting with his girl. Paulie keeps calling Natalie a "Jersey girl" in a derogatory sense and says she's as fake as "the things on her chest" - high class, Paulie! Eventually Natalie and Paulie get into it and gonna give the point to Natalie as Paulie just comes off like a douche. And as usual, before the eviction James ruins the total blindside and tells Nicole, Corey, and Paulie of Zakiyah's impending eviction. 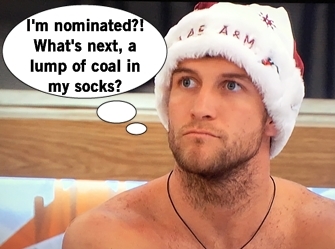 Instead of goodwill, Paulie snaps even more. The Double Eviction left the house "leaderless" so there's a Head of Household to declare the new power holder. In a head-to-head elimination style competition to identify Benny the Squirrels in a grid, Victor wins HOH. As the swing vote of the house, being in power requires Victor to actually choose a side. Victor can't choose Nicole as America's Care Package grants her "super safety" so she can't be nominated/evicted while wearing her stupid Super Safety suit. That's A-OK for Victor, who agrees with his ally Paul that they should target Paulie and Corey. Time to take out a big competitor! 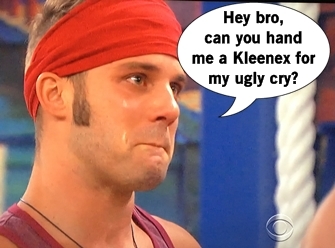 Paulie ugly cries a ton about the nominations of himself and his bro Corey, feeling betrayed by The Executives. Paulie can't seem to accept that the player got played, which Michelle perfectly sums up to the BB16-wannabe: "You're never going to be Cody or Derrick." 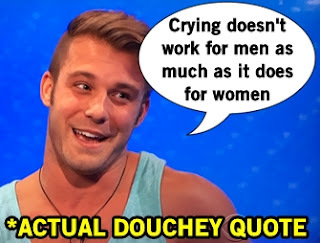 Paulie has to put his pouty-face aside briefly because Zingbot 9000 shows up in the house for his classic zings which calls out Paulie as the "Poor Man's Cody" and Nicole for throwing her game away for a guy on two different seasons. ZING INDEED! This year, Zingbot is running for president and gonna be honest, not a terrible candidate? As players are eliminated they win/trade for prizes and punishments which results in the following: Paul has to pat down houseguests as Zingbot's Secret Service, Nicole wins a trip to any "American destination", Corey has to wear a "Patriot-tard", Paulie has to bake apple pies all summer, James gets $5k, and Victor retains all power by winning the Veto. Victor is excited to have all the power to send Paulie out of the game, leaving his nominations the same. Paulie's game is pretty much over at this point, so in good news he only has to bake pies a couple days as opposed to all summer. Credit to him for realizing the monster the game made him become. Credit lost when he threatens to quit. He campaigns and tries to use tears to his advantage, but the house isn't buying it and Paulie is evicted. He doesn't have the Round Trip ticket so we are saved his resurrection (temporarily because, what a shocker, there's another impending Battle Back coming). Since this was the last week for the tickets, Julie Chen reveals who did have the ticket: YOUR BOY Paul. The next reigning HOH is left as a cliffhanger, but twist alert: someone will be co-HOH this week thanks to America's Care Package.